On 5th March 1936 Joseph ‘Mutt’ Summers climbed into the cockpit and flew into the skies above Eastleigh Aerodrome for an eight minute flight of the first Supermarine Spitfire. This test flight came just four months after the Hawker Hurricane had also completed its maiden flight, and at a time of immense global instability. Exactly seven years later, to the day, the Gloster Meteor took to the skies on its maiden flight, the first jet engine aircraft the RAF had procured; technology that had been forced to develop in leaps and bounds due to the geopolitical climate. 75 years later and the UK remains at the forefront of military aviation; F-35 jets continue to be delivered to the UK and RAF pilots gain ever more experience of the most advanced aerial platform ever built, and Eurofighter Typhoon continues to provide world leading capability on vital international missions. Maintaining the focus on the future the MOD has also announced work on a UK Combat Air Strategy; to begin immediately. This will address the future of UK combat air capability, as well as the support, maintenance, upgrade, modularity, and export potential of such a platform. MOD intend to establish framework that delivers a vision for the UK’s future capability, with deep and meaningful engagement with industry that helps bring technological innovation to the vision. UK industry has the ability to deliver innovative design, manufacturing, engineering, and digital skills and experience to a programme such as this. Warmly welcomed by industry this work has the ability to bring MOD and industry of all shades much closer together. Pulling on strands from the recently released National Shipbuilding Strategy the forthcoming Combat Air work could take a similar approach to regional hubs of expertise, early export-focused industrial engagement, and a real UK offer in terms of system and support functions. This approach to public-private collaboration demonstrates the potential of the UK to provide a highly competitive offer to the international market. 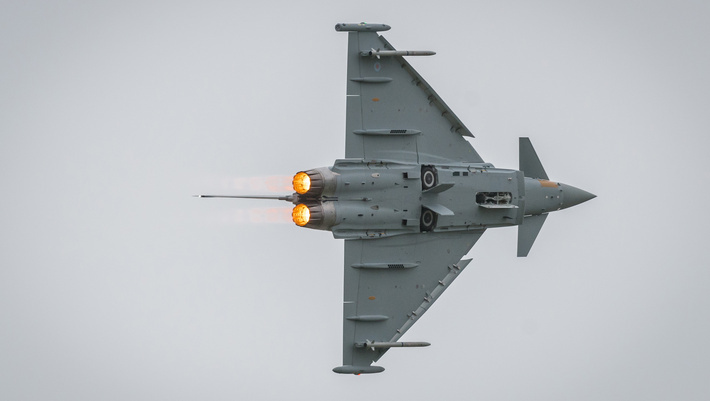 The military aerospace sector has been a particular UK success story over the last 70 years, representing 85% of the UK’s defence exports, while delivering to the UK the operational advantage it needs, and the freedom to act where, and when, the national interest required it. The Combat Air Strategy has the potential to give industry the confidence to invest in R&D activities, as well as create apprenticeship schemes, re-position skills and personnel around the country, and align business practices to make the most competitive bid possible. This approach to the next generation of combat air could make the UK the ideal partner for any potential international collaboration programme. Back in 1936 and upon ending his first test flight ‘Mutt’, whilst climbing down from the Spitfire cockpit, is reported as saying ‘don’t touch anything’, clearly very happy with the British design and engineering work. Today our challenge is to recreate that excitement and satisfaction with 21st century British technology and expertise.